I have been active in the dental field for over 7 years now and I have to say this is an excellent staff to work with. I started out in Dental Hygiene School for 2 years then decided to become a dental assistant. After working in the back office for a few years I decided that I enjoy working at the front office the most. I enjoy helping people out, answering peoples questions and alleviating their concerns. My friendly voice and upbeat personality will surely ease any persons worries. Having my experience in the back part of the office I am able to answer any question you may have about procedures and what to expect. At home I have a 6 year old daughter. We both look forward to the weekends where we enjoy spending time together with friends and family. I have been in the dental field since 1992. 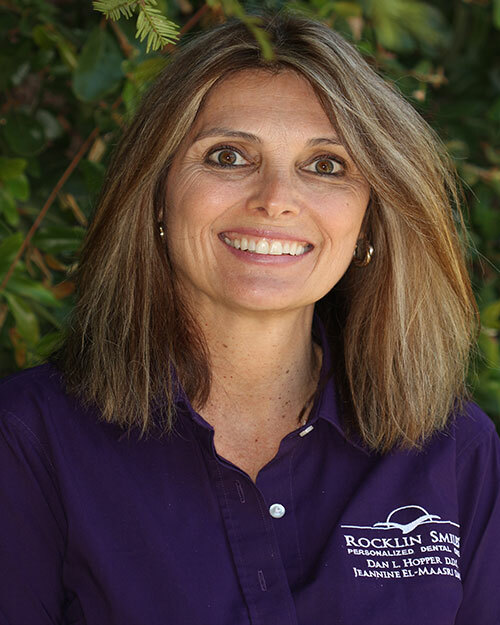 I have been blessed to work with an amazing caring team at Rocklin Smiles since 2011. What I love most about my job are the relationships I’ve made with our patients. 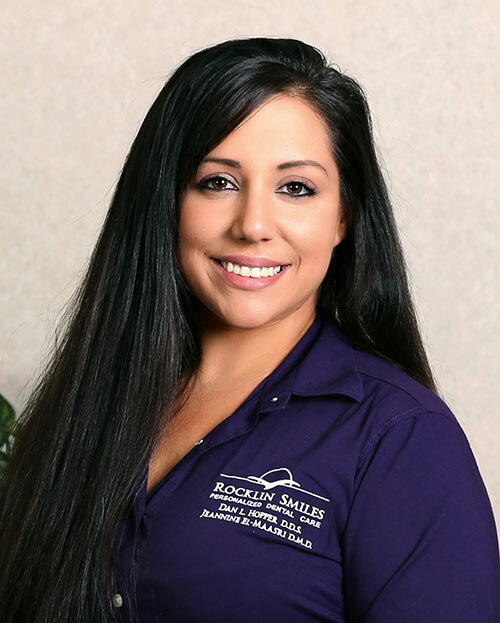 With over 25 years experience I am able to connect to our patients and work together to create a game plan blending their dental treatment with their schedule, insurance and financial needs to achieve the goal of a healthy mouth and smile. Everyone is individual and my job allows me to treat you this way. In my free time I love spending time with my family, husband, adult children and 2 year old granddaughter. I love music, quiet time of prayer, and exploring the outdoors.